Many people think it’s a problem when they cry while meditating. It really isn’t. There are far worse things meditation can do. Crying when meditating is actually common. There are many reasons why people cry when they meditate. Sometimes it’s just because of dry eyes. Other times it could mean your emotions are out of control. If you think that is the case, use our guide to controlling your emotions. But there are many more reasons why people meditate when they cry. Are you Actually Crying When You Meditate? You notice many things when you meditate. Especially when you do body scan meditation. One thing you might notice is that your eyes are wet. Sometimes when you meditate your eyes water. This is similar to crying but different. 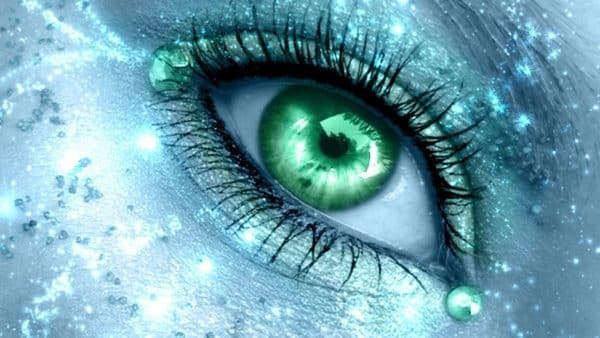 Your eyes water when you meditate because they are simply relaxing and cleansing themselves. When you’re living a busy life it’s easy for dirt and toxins can get into your eyes. If you smoke, for instance, your eyes will soon fill with toxins that need to be expelled. If you spend time outdoors, you may be getting various substances in your eyes. Those substances can remain in your eyes for hours. Normally, your eyes will cleanse themselves through blinking (NKCF.org). But various factors can interfere with this process. If you work on a computer all day, for instance, you will blink less than you should. This prevents your eyes from cleansing themselves until you later relax—perhaps while you’re meditating, when your eyes will relax enough to clean themselves. This is just one of many signs that your body is relaxing. You might notice many similar things when you practice a body scan meditation (which is a meditation designed to relax your entire body). So one potential reason for your eyes watering during meditation is because they are cleaning themselves. For this reason meditation is good for your eyes. In fact, research shows that meditation can improve eye-sight . If you are definitely crying when you meditate it is probably because you are releasing grief and pain. Some people cry when they meditate. The main reason you cry when you meditate is because of underlying emotions and feelings you usually do not permit yourself to face. This is especially true if you are going through a period of grief. It’s totally fine to cry when you meditate. Modern society and culture teaches us to suppress our feelings. Friends tell you to get a grip. Parents tell you to grow up. The media extols the supposed superiority of the cold heart and the impenetrable mind. But in reality: Putting a barrier up around your emotions is rarely helpful. You can’t simply shut out your feelings. People with high emotional intelligence levels know that you can’t just shut out emotions. Sooner or later those feelings are going to bubble to the surface. However, they cannot bubble to the surface while you’ve got your self-constructed emotional wall up around yourself. While you’re forcing yourself to suppress your emotions you’re putting an awful lot of stress on your muscles, particularly muscles in your neck, shoulders, face, and, yes, in your eyes. You tense up in order to prevent yourself from letting those tears drop. And that tension can last a very long time. When you meditate you cry because you’re letting emotions out. It’s a way of handling negative emotions. Those emotions have been there for a long time because you learnt to repress them. You started this bizarre habit of hiding your emotions in childhood. But it only gets worse in adulthood. As a kid it might not be the most popular thing to show emotions, but you’ll get away with it because you’re a kid. Reaching adulthood you’re expected to be unaffected and unemotional (even though none of us truly are). So you make your emotional barrier even bigger. And by now next to none of your emotions are coming out. Many people show absolutely no emotion at all. Then something awful happens. Suddenly that barrier simply cannot withstand the force of the emotional tornado knocking against it. The wall comes down, and all those built-up emotions come bursting through you in one go. But for the most part, as an adult you exist as an emotional vortex contained in an isolation chamber, walls all around your emotions desperately trying to prevent them from breaking free. You have to break down those walls and let those emotions come pouring out before they drown you. Meditation melts those walls like butter in a pan. Your self-created emotional prison evaporates in the heat of the meditation, in the heat of that mindfulness, that directed consciousness. Meditation brings calm and acceptance. Meditation breaks down the walls of your mind. Naturally, whatever you’ve been hording under lock and key in your mind, is going to come tumbling out when you meditate. The emotions come pouring out. They drop like dew from your eyes. But it is a good cry. It is a cry like the caged bird that sings of freedom. It is the cry of your emotions finally set free. That is why meditation makes you cry. 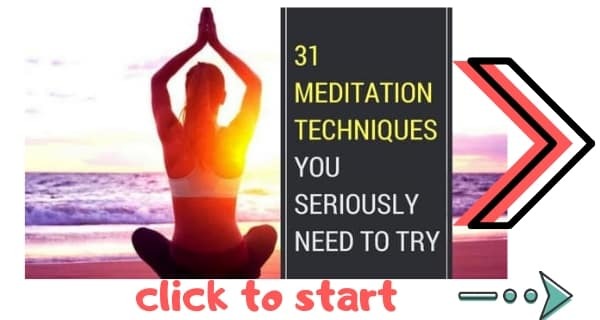 If you continue to cry when meditating, it’s a sign. You need to let your emotions out in healthy ways. There are two great techniques that I recommend you use. Both will help you to let your emotions out in a healthy way. 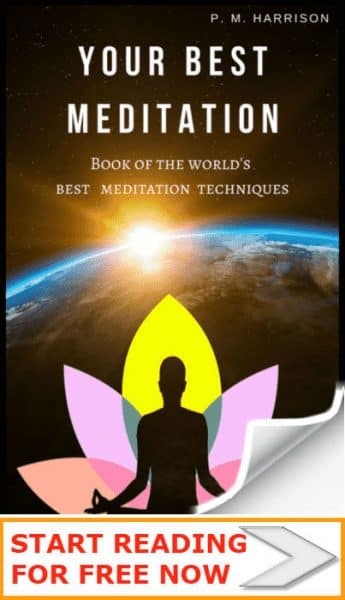 The first technique is Buddhist insight meditation. This meditation will help you to understand what it happening with your emotions. When you try this technique, don’t be surprised if you find that you have lots of repressed emotions that you’re not letting out. Accept those emotions and give yourself the freedom to express them. The second technique is Dynamic Meditation. This is a powerful technique in which you truly let all your emotions comes roaring out of you. It is a seriously liberating experience. No other meditation will give you an emotional release quite like dynamic meditation. Let me know how you get on with those techniques.